What does 2010 hold for Justin K. Broadrick? Just in case you’re new to these parts, the ever-labouring Justin K. Broadrick is heavily exalted here. The former Napalm Death and Godflesh member and current mastermind behind the elegant weavings of Jesu was kept extremely busy in 2009. He delivered the staggering 50 minute Infinity and the EP Opiate Sun under the Jesu banner. Furthermore he teamed up with Isis front man Aaron Turner for Grey Machine, who released their debut record Disconnected, the sound of which harkened back much to the sound of Streetcleaner-era Godflesh. Finally he furthered some more work on Final. That’s all in an average year for Broadrick, who is producing more mind bogglingly amazing material in 12 months than some bands manage to in 5-10 years. So, like the title says – What does 2010 hold for Justin K. Broadrick? One thing is clear. At this year’s Hellfest in France, Godflesh are reuniting for a one off show. Needless to say, fans aplenty greeted this news with rapturous elation. But once Hellfest is done what’s next? Granted, it’s a one off show; but Cynic said something similar nearly four years ago and look at them now. Is a full blown Godflesh reunion in the works, and more specifically is there a new album? But since 2004, Jesu has been Broadrick’s lifeblood. Each EP, album and split he has made under this pseudonym has been an astounding and overwhelming affair, offering something new and fresh every time. 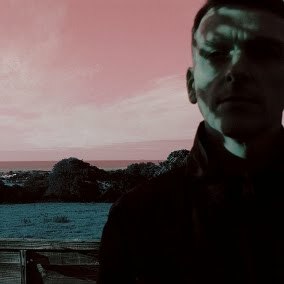 Only he has taken the heady influences of My Bloody Valentine and meshed it with his Godflesh and Head Of David days of sonic beauty along with many drone aspects like that of Earth. Every year has been blessed with a new Jesu release big or small. So, hopefully the trend will continue. Jesu on the live stage has been unfortunately sparse, but Broadrick took the project to the stage last October at the Damnation festival in Leeds, as well as a London show in November. Will 2010 see more Jesu shows? Or more interestingly will Godflesh’s show at Hellfest in front of tens of thousands of people re-ignite the lust for the thrill of the big (more frequent) live show? Information on whether Grey Machine will be active in 2010 has also been meagre; again nothing has been mentioned about further releases or if the project will play live. Also, Justin has been known for remixing releases from other bands such as Isis, Pelican and Genghis Tron, perhaps the man of many talents will return to the mixing desk again. That said he has produced many of his own work, so it may not come as a surprise if his production skills leap out on to other bands. Whatever happens, one thing is certain – Justin K. Broadrick will excite one way or another.